A Sikh junior high student of Indian descent has admitted threatening to detonate a bomb at school, police in North Texas said Thursday. While a young woman who claims on social media to be the boy's cousin says he was falsely accused by a bully, police said the suspect never mentioned being bullied into making the threats. 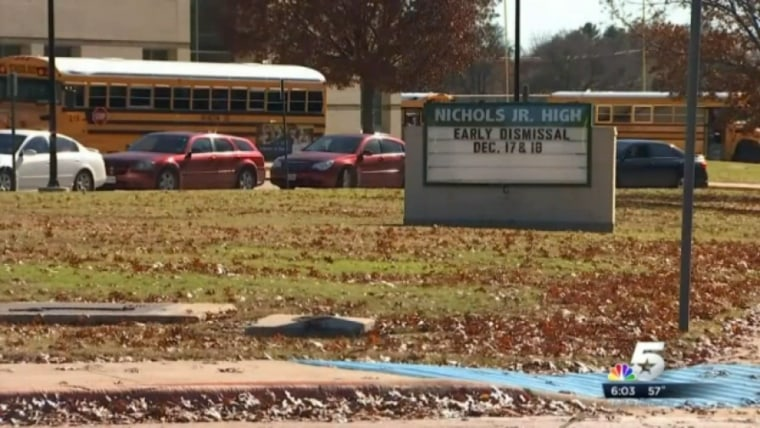 Arlington police Lt. Christopher Cook said the boy, listed as 13 by police, was arrested last week on a charge of making a terroristic threat at Nichols Junior High School. He said the boy told another student last Thursday that he had a bomb in his backpack. Cook said the next day, the boy made the claim again to the same student and elaborated that he would take his backpack into a bathroom and have the bomb detonate in one minute. Cook said the other student was troubled by the claim and told a teacher who then notified police. The classroom was evacuated last Friday and the backpack was inspected but no explosive device was found. A message left by The Associated Press at a telephone number believed to belong to the boy's family drew no response Thursday. The young woman who said she was the boy's cousin posted on social media that he was set up by a "bully" and that authorities never notified the family of his arrest. She says the boy was born Sikh and raised in Texas and claims he was targeted because of the color of his skin. Sikhism is a more-than-500-year-old religion founded in India. Someone claiming to be a brother of the boy posted on social media that he and other students were joking about a bomb threat together. Both of the people who say they are family members said the boy was 12 years old. The case comes three months after a 14-year-old Muslim boy of Pakistani descent was arrested at his high school in nearby Irving, another Dallas-Fort Worth suburb, after he brought a homemade clock to school that was mistaken for a possible bomb. Ahmed Mohamed was detained but quickly released. His family questioned whether he was mistreated due to his religion and eventually left Irving after reporting threats. They now live in Qatar. His lawyers have threatened the Texas city and the school district with a lawsuit, and the U.S. Justice Department is investigating the incident. Cook said the boy in the Arlington school incident admitted that he made the bomb claim but insisted he was joking. "The suspect never told us anything about being bullied," the lieutenant said. "The ethnicity or race does not figure into our investigation in any way. There is nothing in the report that would indicate that the suspect was set up. Keep in mind he admitted to officers that he made the threats and that he was just kidding." The boy was taken to a juvenile detention facility last Friday, and Arlington school district spokeswoman Leslie Johnston said his family was notified of his arrest. A Tarrant County Juvenile Services spokesman declined to say how long the boy was kept in the facility. Johnston, who would only release few details because of student privacy laws, said officials acted solely on the threat that was made last week. "We are confident that our actions are appropriate in all respects," she said.